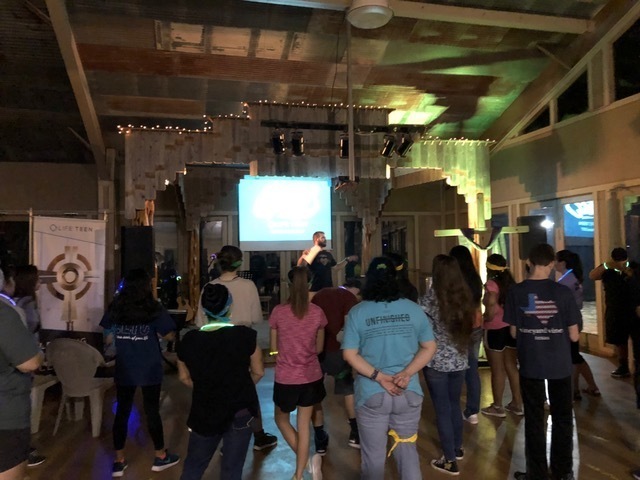 WHAT: A weekend full of fellowship, prayer, discussion, and activities all aimed at leading youth into a fuller relationship with God and experiencing His presence in the Sacraments! Space is limited. You may register below! Parents will recieve a letter in the mail with more information regarding the retreat. “This is good and pleasing to God our savior, who wills everyone to be saved and to come to knowledge of the truth." Number of Participants REQUIRED Please fill out this field. Grade REQUIRED (Select One) 9 10 11 12 Please fill out this field. T-Shirt Size REQUIRED (Select One) S M L XL XXL XXXL Please fill out this field. I request to participate in the Notre Dame Life Teen Retreat. I understand that by requesting to go, I am promising to cooperate with the camp staff, retreat team, and the Holy Spirit. I understand that the intention of this retreat is to help form community and to bring me closer to Jesus Christ. I promise to follow instructions, be open, and participate in retreat activities. I also realize that I may not bring or use any tobacco products, illegal drugs, alcohol or weapons. I understand that to break the retreat rules or to act unsafely or irresponsibly will result in my dismissal from the retreat and into my parents’ care.